Current substrate formulation, that is, the selection of individual components that combine to produce the final bulk substrate relies on combing some portion of inorganic and organic components. The incredible part of this process is that there really is no limit to the number or type of components that can be included in the substrate, as long as it remains lightweight, has a high water-retention capacity and does not become waterlogged, remains oxygenated, and releases water and nutrients to growing plants. Substrate components span from traditional materials like soil clay, sand and organic fractions (peat moss, coconut-coir or pine bark), to newer materials including crushed brick, porcelain, plastics, slates, and shales, or recycled and waste materials, like crumb (tire) rubber and refinery slag. An often overlooked function of substrate formulation is the physical and chemical properties of the individual components. Substrate is the most important feature to control nutrient and water dynamics within the green roof. Different materials will have different properties, and often times these are poorly described, or completely unknown. For this reason, it is difficult to understand how a roof is performing, and must instead rely on simple, readily observable metrics. Are plants growing satisfactorily? Are nutrients being lost from the system with runoff? Does this nutrient loss exceed municipal or regulatory guidelines for discharge into waterways? As such, our research aims to address these outlying issues, filling in the knowledge gaps that exist regarding these materials and how they will perform once in the substrate but prior to installation. Simple, readily available techniques exist for the characterization of materials, such as clay, to estimate their maximum adsorptive capacity for a given nutrient across a range of environmental conditions. However, these tests more often than not use reference materials that are homogeneous. The trick is knowing how to apply these techniques to an impure substance, like crushed brick, which ranges in particle size, has a variable texture, and comes from many different kinds of recycled brick, which can further complicate things. The techniques we use, including potentiometric titration (i.e. titration over a range of pHs), batch adsorption (estimating the fraction of adsorbed nutrient from a solution with a known concentration), and material surface analysis (both total surface area and the density of binding sites), are well documented in academic literature. We should then be able to estimate the performance of the total substrate once we know the properties of each material comprising that substrate. This modeling, also known as the “Soil Assemblage Model” has been used globally to describe nutrient losses from farmers’ fields into nearby waterways, by characterizing the individual components of a natural soil. Therefore, by extension, we should be able to model an artificial soil, since we know each component and the quantity we’re adding to our final substrate. Through this work, we can be confident that our green roofs are performing as intended and, once installed, will not cause more harm than good during heavy and more frequent rain events. With increasing urbanization and sprawl, it can also provide everyone a small slice of natural green space in the city. 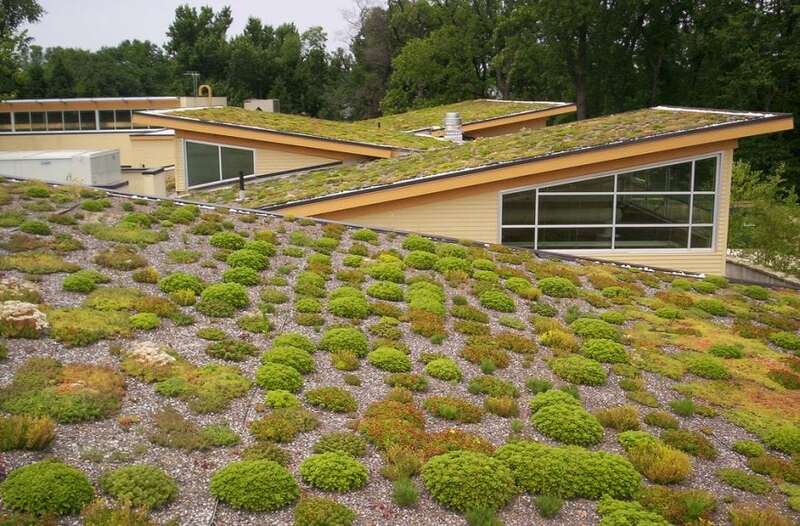 These findings are described in the article entitled Component characterization and predictive modeling for green roof substrates optimized to adsorb P and improve runoff quality: A review, recently published in the journal Environmental Pollution. This work was conducted by Tyson S. Jennett and Youbin Zheng from the University of Guelph. Tyson S. Jennett is a Ph.D. student at the University of Guelph in the School of Environmental Sciences. His main area of research is in green roof substrate development.